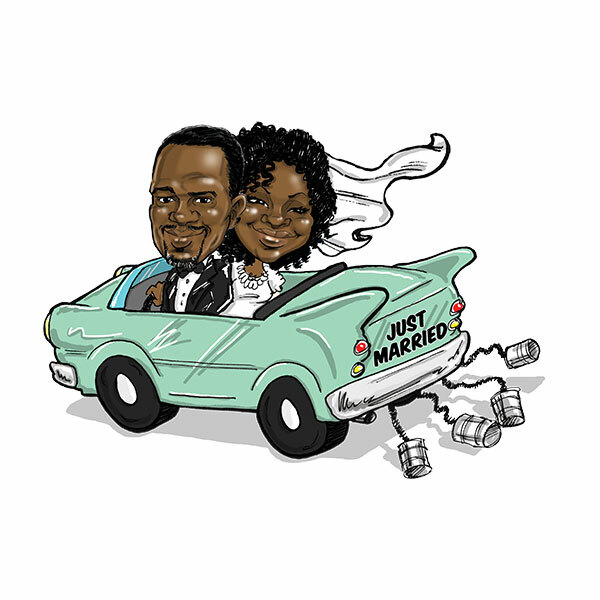 Choose one of our hand drawn wedding caricature filter themes. 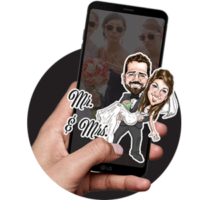 Then upload a photo of the bride & groom. 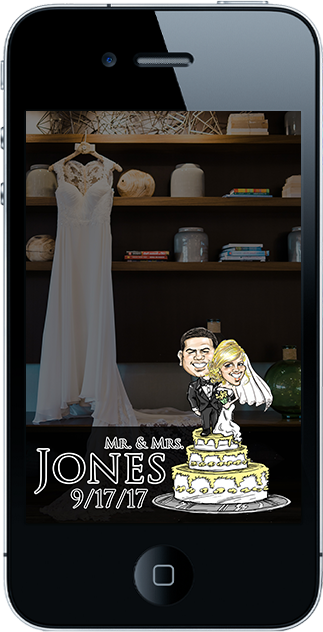 We go to work and start drawing your custom caricature filter. Once completed, we submit the artwork to Snapchat. 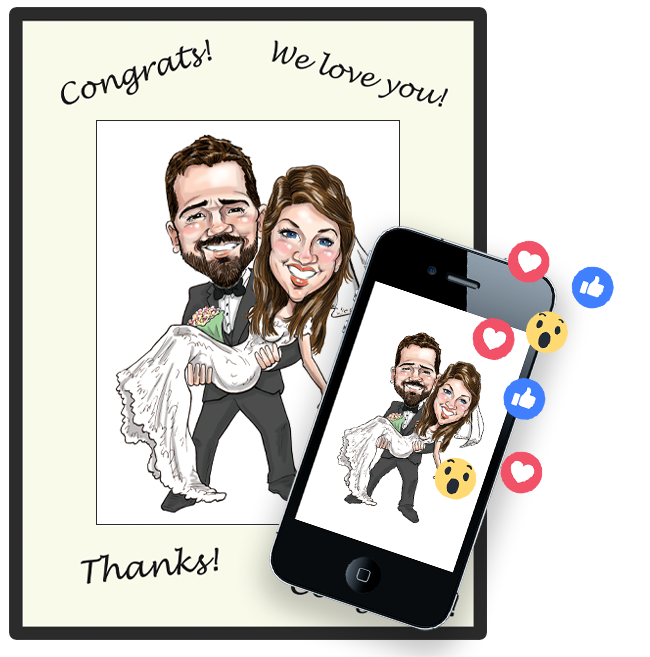 Your filter is ready to use and you can even print the wedding caricature with the digital caricature file we send you! 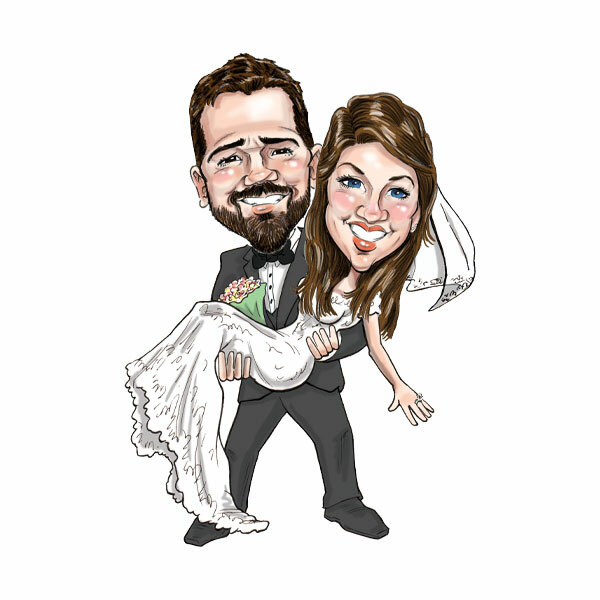 How will you use your wedding caricature file? Ready to print or share. Caricature sign in boards are a great idea. Check out our wedding entertainment. 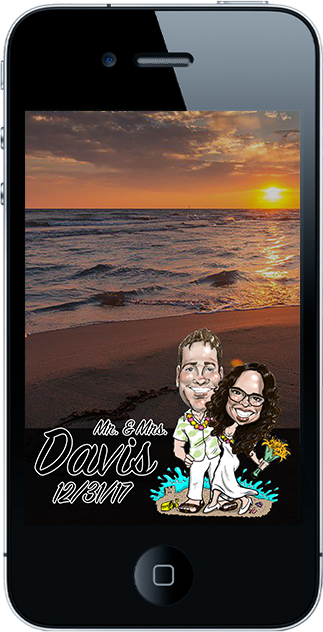 Check out some examples of our Wedding Geos © Snapchat Filters! The Classic is probably our top theme request. 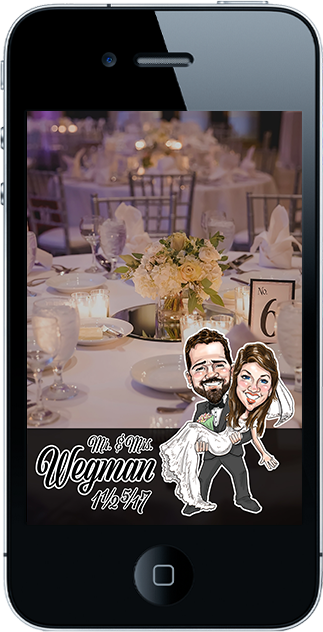 Your guests will love interacting with this great Snapchat filter! 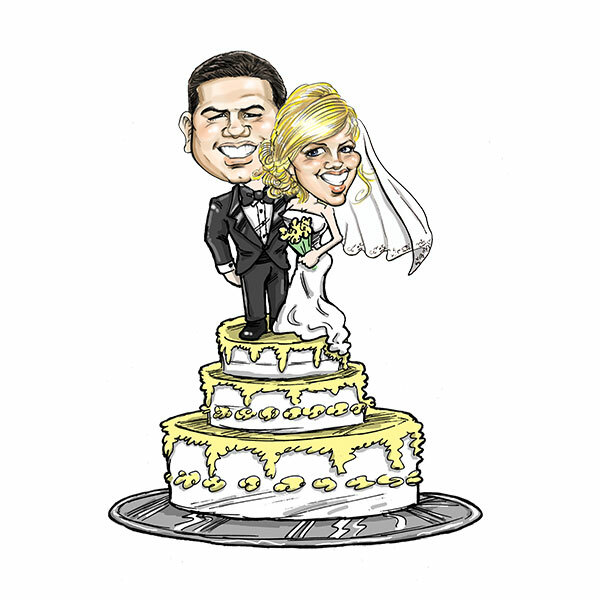 The Cake Topper is another great filter option for your wedding. Don't forget, you get a digital copy of the artwork, too! 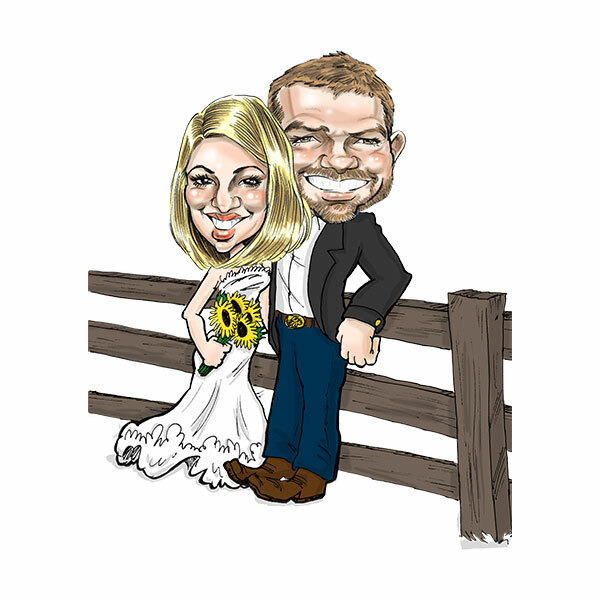 Are you getting married out in the country? 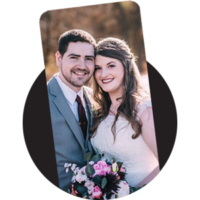 The Post It theme is great for country themed weddings! Drive it like you stole it! 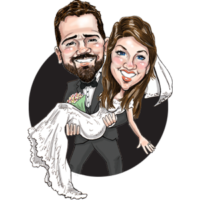 The Cruisin' theme is a classic wedding theme, with cans and all! 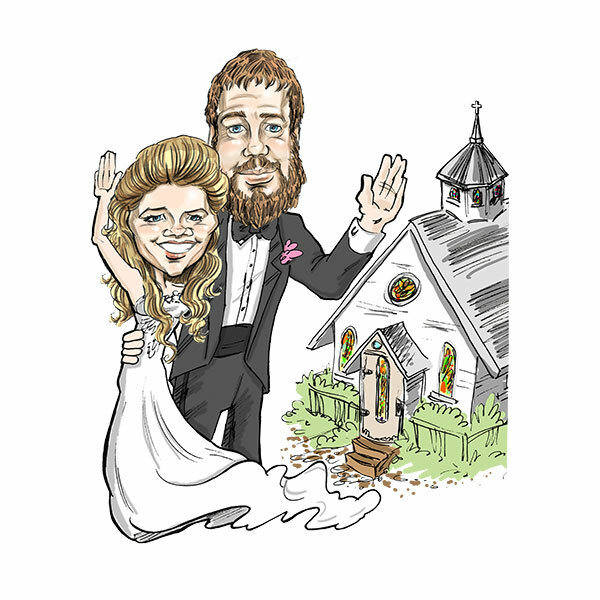 If you're getting married in a little white church, this filter couldn't be any more perfect. Your guests will love it!